Home→blog→Why You SHOULD Have a Land Survey Completed Before Purchasing Land? ← Welcome! Let us know how we can serve you! Buying land, whether commercial or residential, is often a pricey endeavor, even though prices have eased somewhat lately. That is why choosing a lot that you want and making an arrangement for it without performing a land survey within the area might well be the biggest mistake you could make. 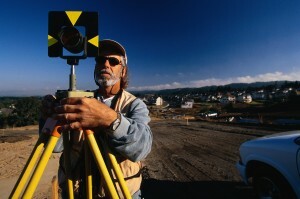 Land surveyors can see whether you’re actually getting what you’re about to pay for. Meaning uncover whether the sidewalks, trees, driveways and even the bird bath is part of the property you’re planning to buy. Land surveying would also evaluate if the neighbors are encroaching into the property, which could then mean you’re gonna have problems down the road with your neighbors. Employing a land surveyor doesn’t only mean they figure out what you’re getting or perhaps not getting – land surveyors are the experts, and so they can help with building regulations, wetland regulations, etc. Keep in mind that these regulations can shift anytime, but land surveyors ought to be updated on these regulations, or they may refer you to a person that is. What happens if the existing landowner (the one selling the land) can present you with old land survey documents? You should still hire your land surveyor to check if the boundary monuments continue to be in place. Also, land surveying done many years back might not exactly show recent changes to the land. When the existing survey is older than about a decade, you ought to get a completely new survey. Technology and surveying standards are both a whole lot better now and may offer you more confidence in the survey work. Second, that survey was completed for that owner. He could have instructed the surveyor not to show specific things on the drawing. At least have a land surveyor get out there and assess the parcel using this type of survey in hand. We have seen numerous instances when a brand new land survey would save the client thousands so don’t be a victim. I’ve heard plenty of people say employing a land surveyor is nothing but unnecessary expense. I’ll show you what’s unnecessary: the anxiety caused by paying lots of money for something and ending up not receiving what ever were expecting. If you are smart, you’d hire an authorized land surveyor before you make any land purchases.